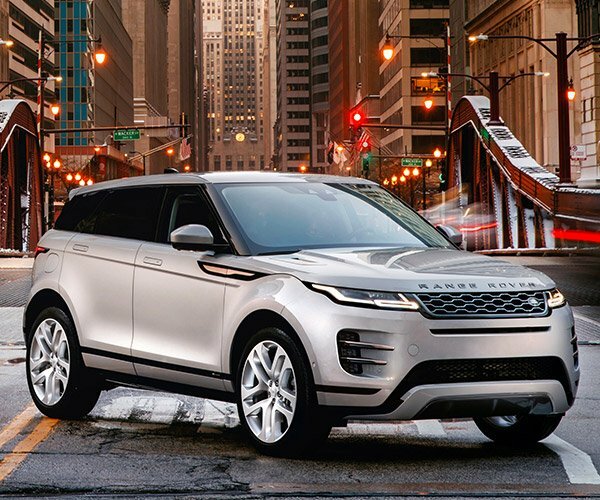 The Range Rover Evoque has remained largely unchanged since its original release back in 2010. If you ask me, that’s because Land Rover got so much right with its original styling that it’s held up all this time. 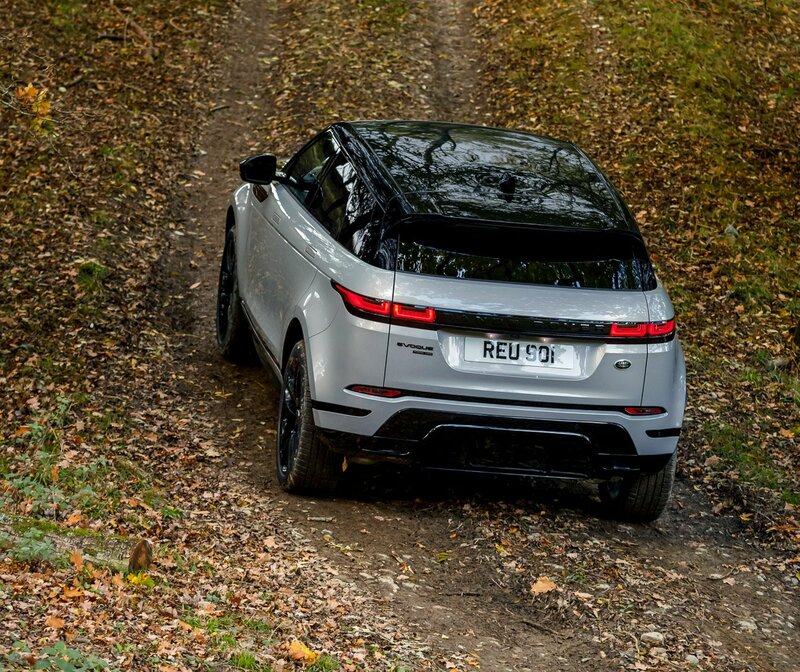 In keeping with what made it work the first time around, the 2020 Evoque doesn’t look all that different from the exterior. 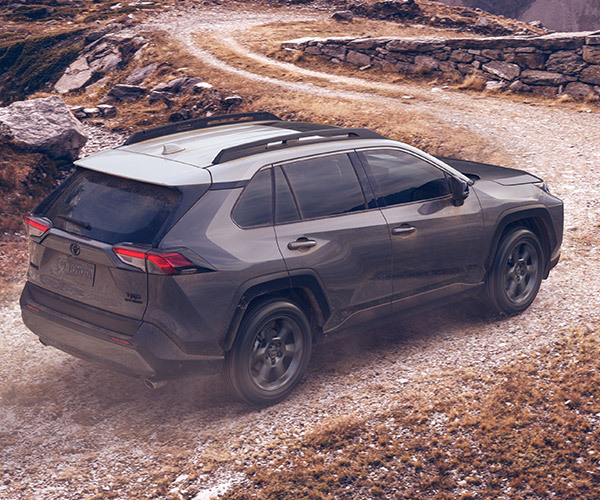 The new model preserves the distinctively sloped roof and rising beltline of its predecessor, though it seems even more streamlined thanks to its new flush-mounted door handles. 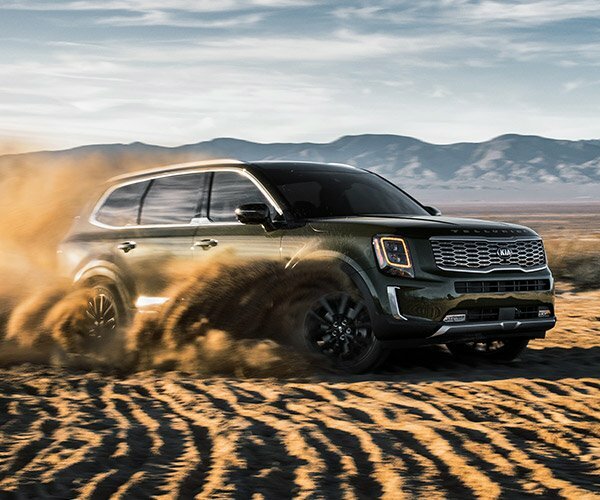 Up front, there’s a sporty new look for its air intakes, with the addition of fins on each side, and in back there are slick new taillights with a progressive effect when signaling. 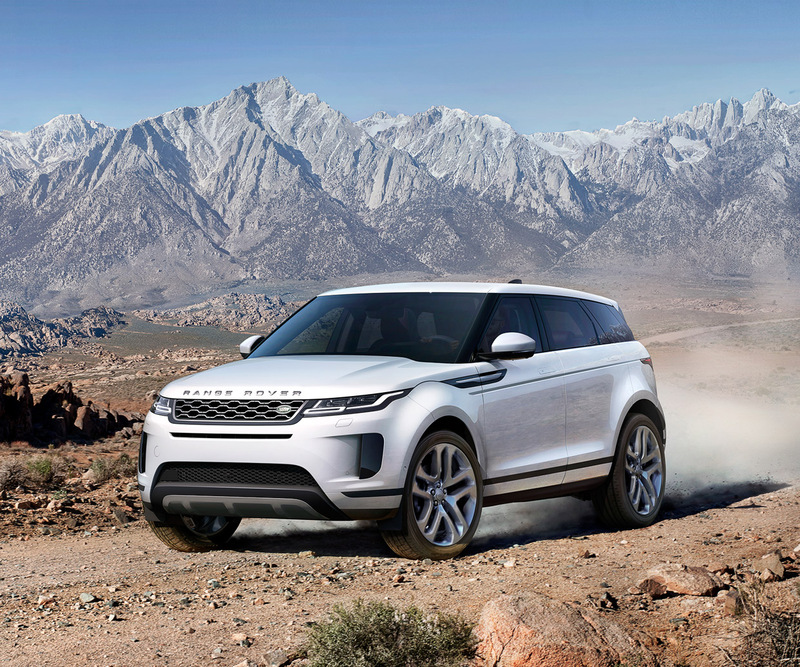 But for as little as the new Evoque has changed outside, it’s almost entirely new inside and under the hood. For starters, there’s an all-new 48-volt mild hybrid powertrain that boosts output to 296 horsepower – a 50 hp bump from the standard 2.0-liter Ingenium turbo-4. This should give the Evoque that little bit of extra gusto off the line that I always thought it could use. 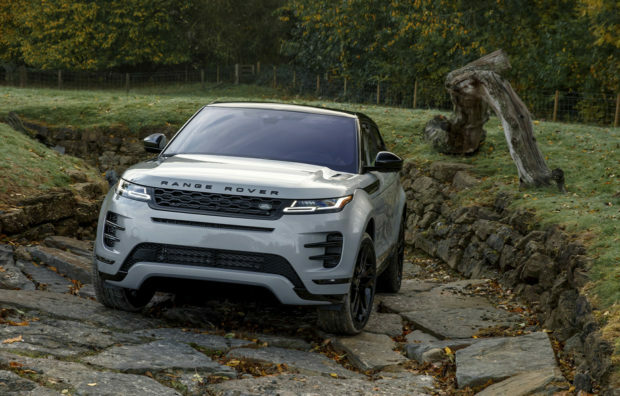 Land Rover says it’s also recalibrated the sometimes choppy 9-speed ZF automatic gearbox to improve its smoothness this time around. Thanks to upgrades to its design, the Evoque can now wade in water up to 23.6 inches, and there’s an optional ultrasonic sensor system which can display wading depth on the touchscreen. Adding to the Evoque’s off-road chops is a new ClearSight ground view camera system which allows drivers to see obstacles down on the ground thanks to cleverly-placed cameras in the grille and door mirrors. The new interior is more spacious than before, offering improved legroom for rear seat passengers, increased cargo space, and an even more airy and clean look this time out. The back seat offers a versatile 40-20-40 configuration for versatility, and there are now a total of six USB ports so everyone can plug in and charge at once. 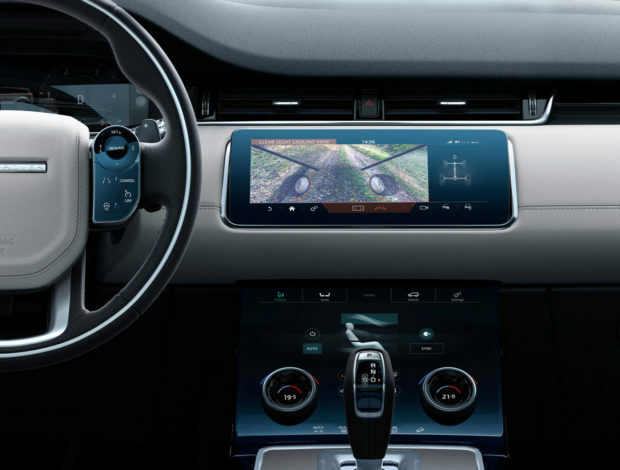 The dashboard is packed with high tech features, from a full digital instrument panel and color heads-up display, to an optional dual-screen InControl Touch Pro Duo system, which provides a large infotainment screen up top and digital controls for climate and other vehicle functions below. 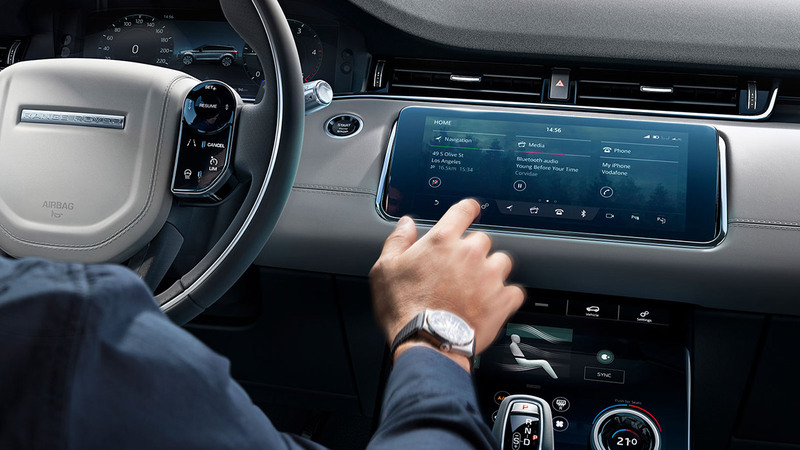 This system works great in the Range Rover Velar, so I’m excited to see it on the Evoque now. Apple CarPlay and Android Auto are available now as well. 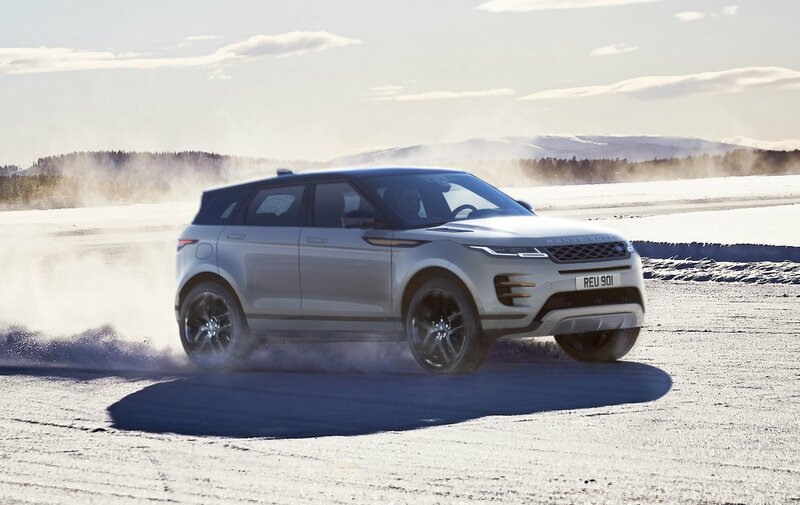 For the first time, the excellent Range Rover Terrain Response 2 system is standard on Evoque, offering drivers five driving modes for managing traction across a wide variety of road (and off-road) driving conditions. 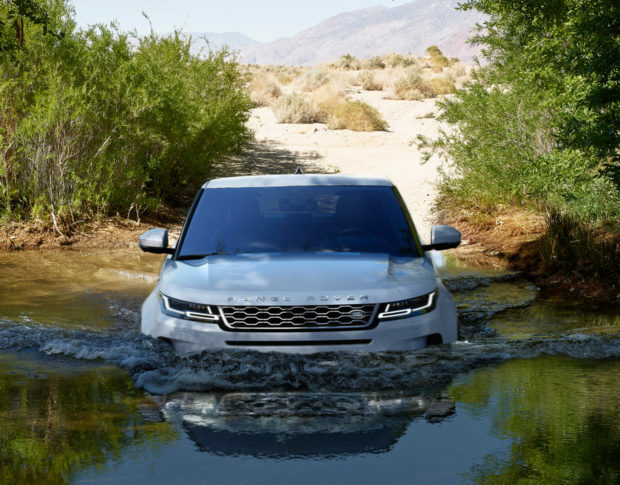 There are tons of other improvements and new features in the 2020 Evoque, and I suggest you watch the extensive overview video below if you’re interested in checking them all out. Land Rover has yet to offer details on the pricing or delivery dates for the new 2020 Evoque, but plans on telling us more right here at the Chicago Auto Show in February 2019.